IF she tries to cheer you up with Dalai Lama quotes, the household layout is Feng Shui-friendly and you see her bending in weird positions on the lounge room floor (Yoga); chances are you’ve got a spiritual mum. 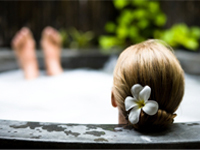 The well-being of the mind, body and soul are of utmost importance to her. Decorative candles: create your own candle feature for mum by using odds and ends from around the house and a few new candles to spruce up the look. Candles from $4. Available from Dusk, Target, Harris Scarfe, Crazy Clark’s and Go-Lo. 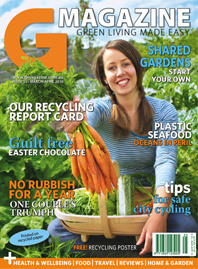 G Magazine: Green Living Made Easy: G Magazine is practical, positive and focuses on articles, ideas and tips for everyday sustainable living. Produced on 100% recycled paper. Costs $35 (12 month subscription). Available from iSubscribe. 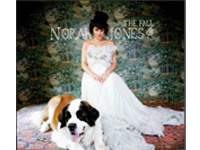 The Fall by Norah Jones: The fourth album from Norah Jones, bringing with it a new assortment of contributors and a vibrant taste of music. Costs $24.99. Available from Sanity. Dr Lewinn’s Day Cream Moisturiser: Dr. Lewinn’s signature range, rich in Retinyl Palmitate (Vitamin A) to assist in skin cell renewal, and anti-oxidants and multi-vitamins to help hydrate, rejuvenate and nourish your skin. Costs $74.95. Available from Myer. 'The Dreaming' - Unique Day Of Indulgence For Two: The Dreaming is a complete treatment designed to rejuvenate your body, mind and soul from head to toe at a spa sanctuary in the heart of the Mornington Peninsula. Costs $1,200 (excludes flights and accommodation). Available from Dstore.